Jay Grinney, the long-time CEO of HealthSouth who recently retired and completes a consulting stint with the company this month, is slated to receive an $11.7 million package for his service in addition to $7.3 million in total compensation last year, HealthSouth's 2016 proxy shows. The HealthSouth board of directors also gifted Grinney, 66, two fishing rods valued at $4,598 and a $50,000 donation in his name to HealthSouth's charity which provides for volunteers at HealthSouth hospitals and assists with employee disaster relief and other charitable donations. 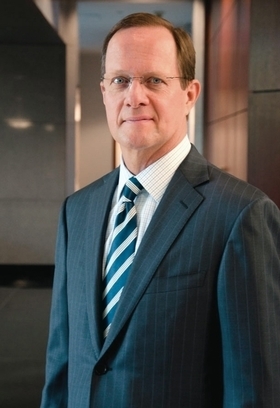 Mark Tarr, Grinney's successor as CEO, earned $2.4 million in 2016 in his position as chief operating officer and executive vice president. HealthSouth announced in October during the leadership transition that Tarr's base salary grew to $900,000 this year from $645,833 last year, according to the proxy. Tarr, 55, can also earn $2.7 million this year in long-term equity incentive pay, among other compensation. Executive compensation at HealthSouth is based on what peer companies are paying and is appropriate for companies of HealthSouth's size and complexity, said Cheryl Levy, the company's chief human resources officer. Birmingham, Ala.-based HealthSouth is one of the nation's largest providers of rehabilitation and home health services. The company posted revenue of about $3.7 billion last year. Tarr's increase this year reflects the added responsibilities that he has taken on as CEO, Levy said. The company posted net income of $318.1 million last year compared with net income of $252.8 million in 2015. According to HealthSouth's proxy released Friday, CFO Douglas Coltharp earned total compensation last year of $2.8 million, including a base salary of $570,833. Grinney's $11.7 million package was the value of accelerated vesting of equity awards due upon his retirement. Of his $7.3 million in 2016 compensation, $4 million was in stock awards, the proxy shows.